The Reunions of the Rocky Mountaineer's of 1995. Welcome to the Rocky Mountaineer's Reunion-Pages. The story about friendship over the borders. visiting this site since May 18, 2005. 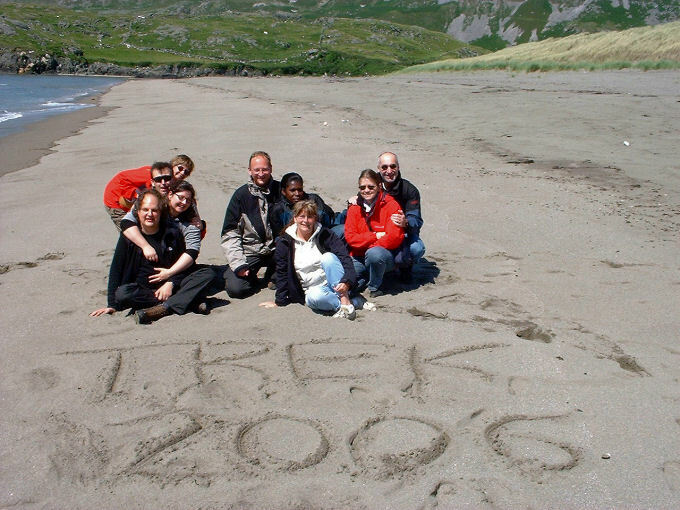 Believe it or not but in 2005 we actually celebrated our 10 year anniversary! Today it is 12 years ago we went on the Rocky Mountaineer trek together in 1995, and we are still good friends. 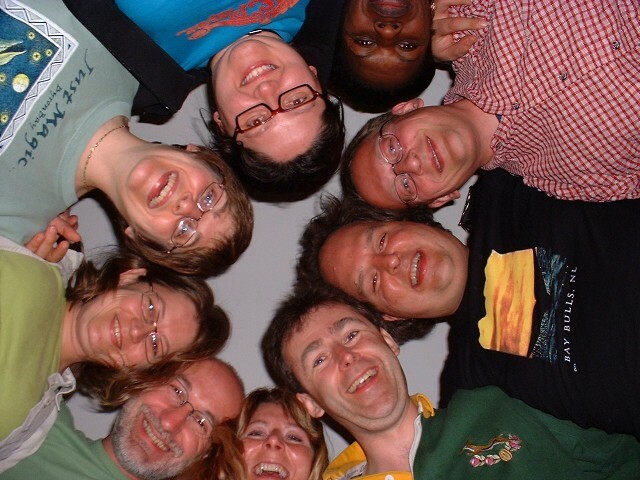 In May 2007 we had our Reunion of 2007, for the 12:th year in a row, this time in Sweden. The 2007 reunion page will come up later. "Friendship: When You are walking in the footsteps of a stranger; Be open minded, You might learn something! Also, Age is just a number; it's what's in Your mind that counts!!!" When we first started to discuss the possibility about having a Rocky Mountaineer Reunion I actually didn't think it would happen, but to my surprise it did. Dennis in Belgium started up and he did a great job, made it possible for the rest of us to compete the success for the next ones. It is always nice to see everyone again, and even if not everyone in the group has been able to join the reunions most of us have. So on February 23, 1996 I entered the plane to fly down to Brussels in Belgium and our first reunion and then there were many more to come. I haven't had the time to put in all years reunion pictures but I hope I will find the time to do so in a near future. WebMaster: Gunilla Hanson. Linköping, Sweden. © The copyright to all photos on this website belongs to me. If You wish to copy any of the photos please send me an E-mail and ask.